Time to smell your best! Cloud Star Buddy Wash - Original Lavender & Mint 16oz. 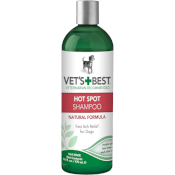 TheraNeem Pet Shampoo 12 oz.